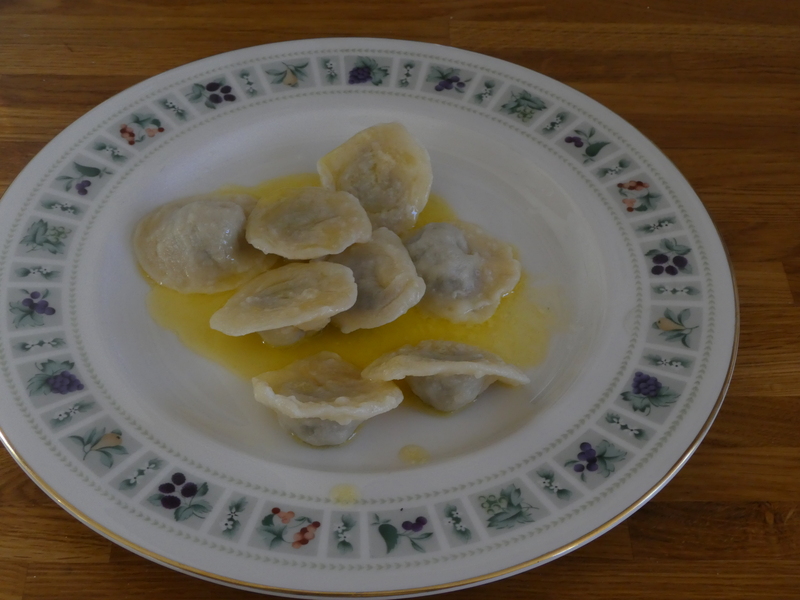 I wrote a long post on pierogi and uszka over two years ago and this has lots of details on Polish pasta. This post is an update on how to make uszka in advance and open freeze them. Uszka – means ‘little ears’ and traditionally mushroom uszka are made for Wigila – the Christmas Eve meal to serve either on their own with butter or floating in barszcz (clear beetroot soup). I usually make around 250 to 300 uszka on the morning of Christmas Eve. Last Chritmas I was going to be taking the uszka to my sister’s to cook there and also needed some on another day to cook at home. I knew that I could make them in advance and open freeze them; so decided that this year I would make them in small batches and freeze them up over the few weeks before Christmas Eve. 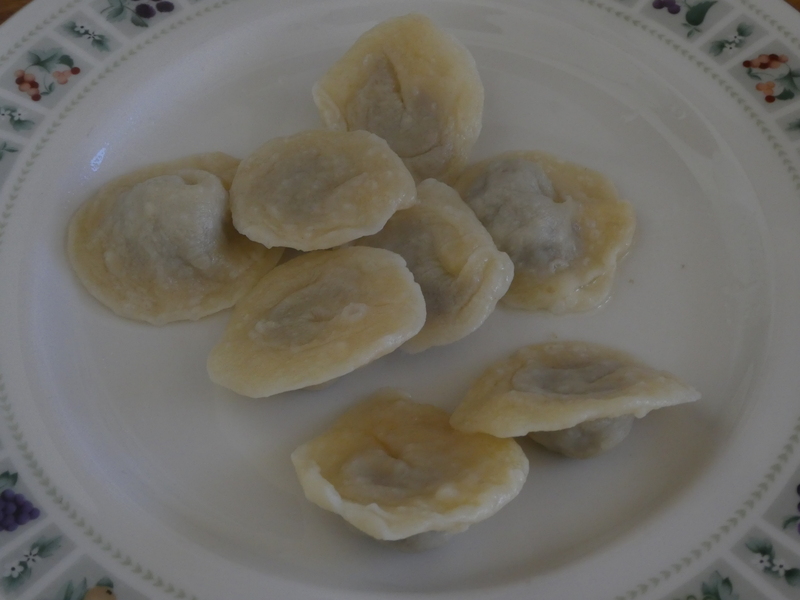 In Poland these will have been made with just dried mushrooms, here in England my mother made them with fresh mushrooms with the addition of dried mushrooms when she could get them. I like them like this the best. 250g mushrooms – older open ones are better than button mushrooms. Pour a small amount of boiling water into the dried mushrooms and leave these overnight. You can remove the stalks from the older fresh mushrooms as these tend to be ‘woody’ and then cut the caps into thin slices. Fry the mushrooms and onions together in the butter. Chop the reconstituted dried mushroom (You can save the liquor for other recipes) and add these to the mixture and heat them together for a few minutes more. It does depend on the mushrooms and the way they are fried as to how much liquid is produced, if you get a lot, then let them simmer gently to evaporate as much as possible or strain some of this excess off (again you can use this liquor in soups or sauces). The mixture then needs to be minced which used to take me a long time and much effort. I now use a hand blender which works really well indeed. To the minced mixture add the egg yolk and enough breadcrumbs to make a stiff filling. Add salt and lots of ground black pepper. You can divide up the mixture into 3 or 4 portions and freeze these in plastic bags or tubs to use at a later date. The dough is made from flour, egg yolks and water and I have seen many variations of the recipe. The following is my mother’s and I think it is the best I have ever used and tasted. She never used whole eggs, just the yolks and this gives a dough which is soft and not tough and can be easily rolled out. My mother originally used plain flour and added a tablespoon or two of fine semolina but now that strong flour or even pasta flour is readily available this is what I use the most. Flour does vary and it is possible to add more flour to the dough as you are mixing it but you cannot add more liquid if it is too dry! As you mix the ingredients in the first few minutes you should be able to tell if it will be too dry and you can add some more water initially but once it is all mixed together you cannot – if it goes wrong – just start again! The quantities that I have given work well and but you should allow for extra flour if needed. Depending on how thinly you roll out the dough, this amount should make around 70 uszka. In a jug or bowl mix together the water, oil and the yolk. Put the flour and salt into a large bowl and make a well in the centre. Pour in the liquid from the jug and initially use a knife to mix this into the flour and then use your hands to mix the liquid and flour to get a ball of dough. Turn this out onto a floured board and knead the dough for a few minutes until you have a smooth ball. Cut the dough into quarters. On a floured board roll out a quarter at a time until you have a sheet of thinly rolled dough. Now prepare a large tray and cover it with a clean tea towel and sprinkle this with flour. Have a large surface such as a tray covered with a cotton or linen cloth which has been lightly floured ready and place the sealed uszka on this until they are all made, do not let then touch each other. I usually make the uszka from squares of dough, about 4cm square, which are folded. This time, I made the shape in a slightly different way – so that I got a much more uniform shape and size. The excess dough can be re-mixed and rolled out again. Around a small teaspoon of filling is put on each circle and then they are folded over and the edges pinched together to make a good seal. The two ends are the brought together and pinched to make a round “ear” shape. You learn from experience how much filling to put in as too much will make it hard to seal them and if not properly sealed they will burst on boiling. Do not worry if you have a few mishaps – it still happens to me even with experience – it is hard to salvage one that has gone wrong – just accept that there will be a few that you do not cook. As you are making them place them on the floured cloth. If you have a extra chill button on you freezer, switch that on. You will need around 3 baking trays – sprinkle flour on these. Place the uszka apart on floured baking trays so they are not touching and place the trays in the freezer for several hours – or even overnight – making sure the trays do not squash each other. Once they are frozen, pack the uszka into boxes. Cook them straight from frozen by dropping them individually straight into boiling salted water – 8 to 10 at a time. 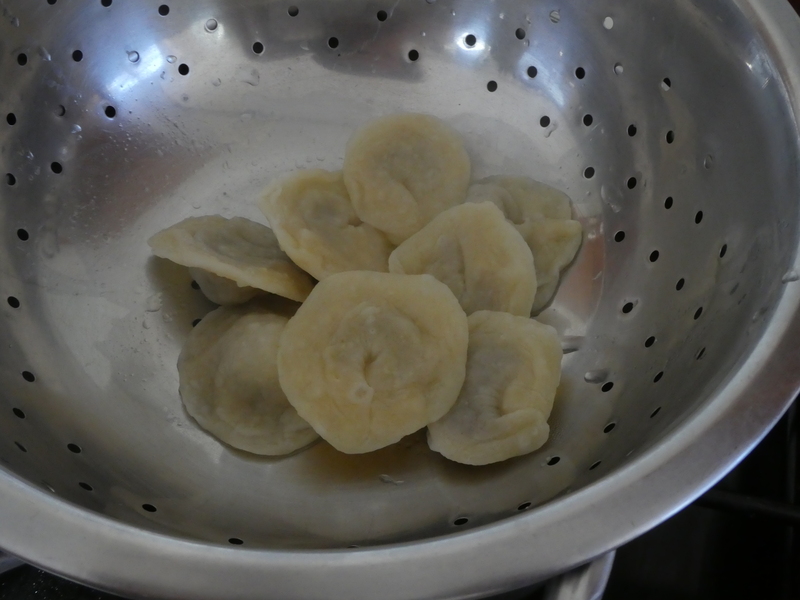 As they cook they will float to the surface, let them boil for 2 to 3 minutes and then remove them with a slotted or perforated spoon and put into a colander above a pan for a few seconds to drain and serve. Continue boiling batches in the same water. 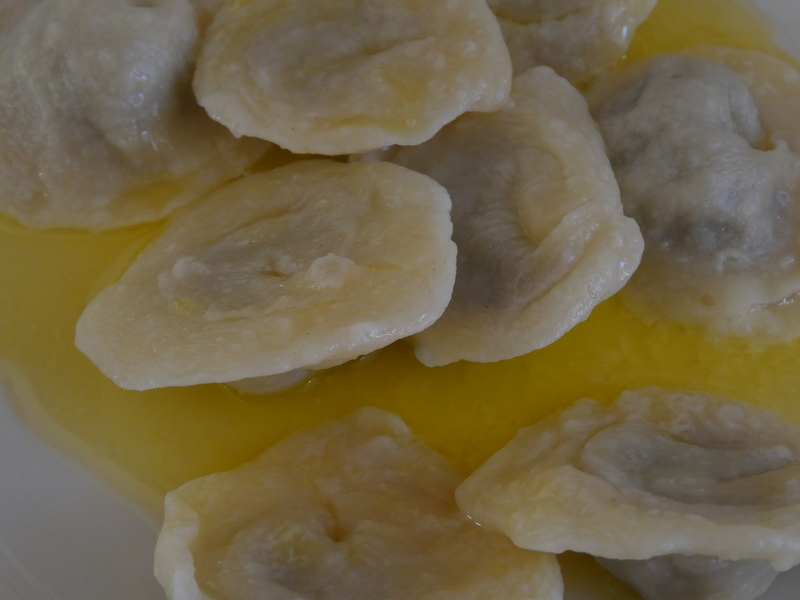 Uszka are served with melted butter or they can be served floating in a clear soup such as rosól – clear chicken soup or in barszcz – beetroot soup. 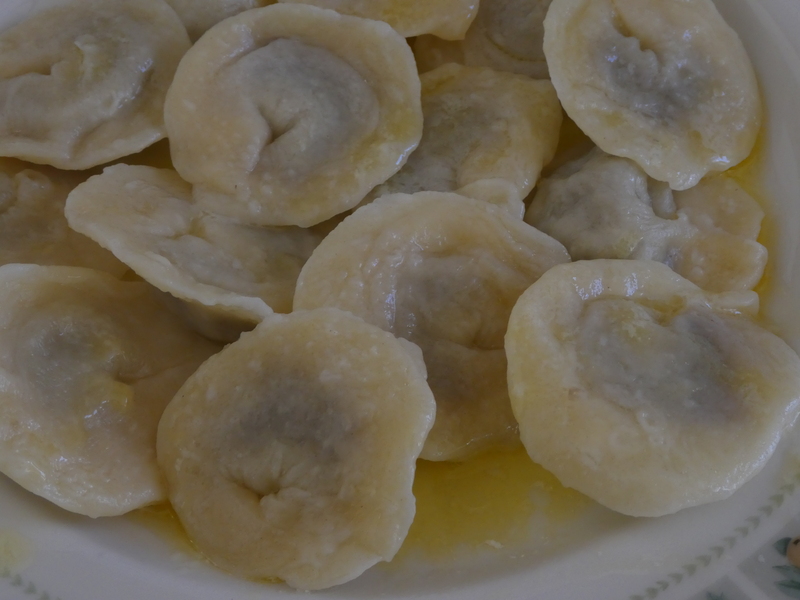 The convention is to serve three or five uszka in each dish. Any that are not eaten should be spread out so that they cool with the melted butter around them. later, you can then fry them up gently so they are golden in parts. A new tradition which was stared by my mother is on Christmas Day morning to have uszka fried with bacon and eggs, we always make sure we have some saved! So much easier making the uszka in advance, so I will continue to make them like this, slowly over the weeks before Wigilia. Sauerkraut & Mushrooms is often one of the dishes for Wigilia (Christmas Eve) when meat is not eaten. 1 large jar of sauerkraut – around 800 – 900g. *The amount of sugar you add to the dish is a personal preference – if rinsed 1 tablespoon should be enough – if not rinsed you might need around 3 tablespoons. The evening before you want to make this dish place the dried mushrooms in a small bowl and cover them with boiling water and leave them overnight. Cut the reconstituted mushrooms into strips. Put the strips and the liquor into a saucepan and simmer them for around 5 minutes. Drain the sauerkraut and keep the liquid (you might want to use it to adjust the acidity of the dish). Add the mushrooms to the sauerkraut and mix together. Cook until the sauerkraut is soft. Fry the onions until they are golden. 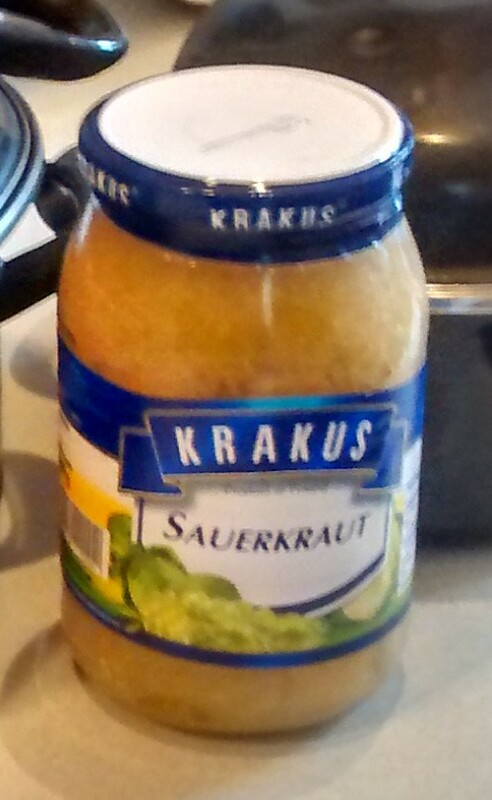 Add this to the sauerkraut mixture and mix throughly . You can then serve this straight away or put it back in the oven for around 5 minutes. Served here in Carnation by Royal Doulton, 1982 – 1998. For Wigilia (Christmas Eve ) this would just be served as a seperate dish. In Polish households fruits that have been dried from the summer often feature as one of the 12 dishes at the evening meal at Wigilia – Christmas Eve. The main fruits that were dried were: apples, pears & plums. The dishes are easy to make but you need to start the process 2 or 3 days before hand. I use hot black tea to reconstitute the fruits & often using Earl Grey Tea to give it a little twist but you can use just hot boiled water. A good deal depends on the quality of the prunes and Agen prunes from France are the best. You need to find good plump large prunes which still have the stones in them. However these last two years I have had difficulties find these and have had to used stoned prunes. 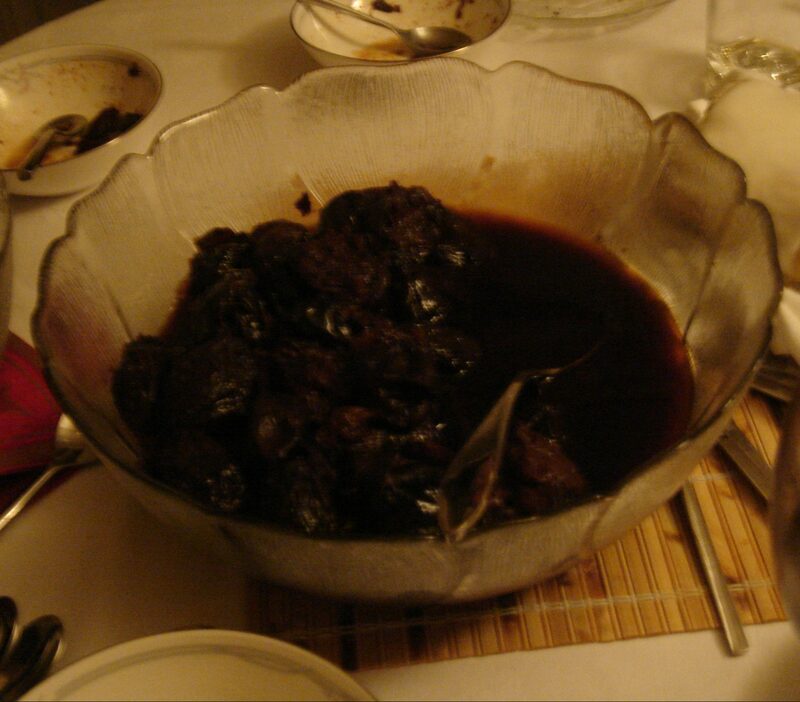 Place the prunes in a large bowl. Make a jug of hot tea and leave to brew for about 4 minutes. Pour the hot tea over the prunes, if using loose leaf tea, you need to strain it as you pour. Make sure all the prunes are covered by adding more hot water. Leave the prunes overnight to plump up. Put the prunes and liquid (you might need to add some water) into a pan and simmer gently for about 15 minutes then leave to cool. Add the rum when the prunes are cold. 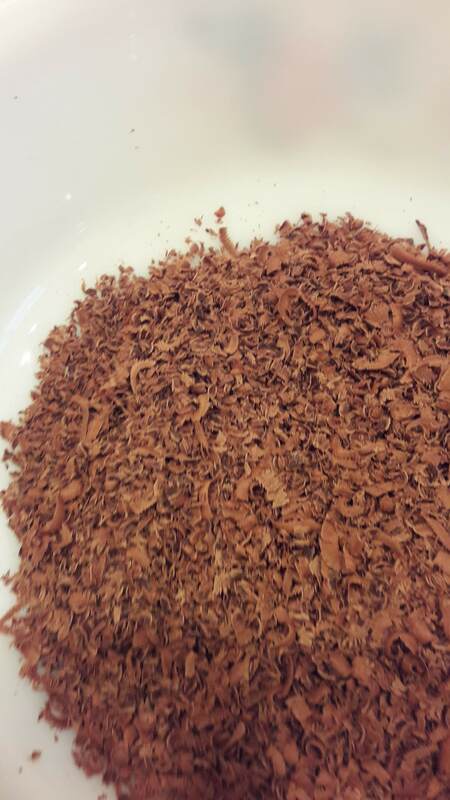 3-4 whole cloves or allspice seeds. Cut the pears in half. Place the pears in a large bowl. Pour the hot tea over the pears, if using loose leaf tea, you need to strain it as you pour. Make sure all the pears are covered by adding more hot water. Leave the pears overnight to plump up. Put the pears and liquid (you might need to add some water) into a pan, add a small cinnamon stick, 3-4 cloves or 3-4 whole allspice seeds and simmer gently for about 15 minutes 15 minutes, stirring occasionally . Take care not to cook for too long – you do not want a “mush”! Remove the spices then leave to cool. My mother used to buy mixed dried fruits to make this & I have bought this in the past from the dried fruit & nut stall on Leeds Kirkstall Market. When I enquired about this – the stall holder said that they had not had this mixture for many years! She did tell me that the mixture had consisted of dried – apples, apricots, peaches, pears & plums. Some people make the dried fruit salad for Wigila (Christmas Eve) using 12 fruits ( another reminder of the 12 apostles.) So – raisins, currants, sultanas, cranberries, cherries, figs and other dried berries would be used as well. Cut the larger fruits in half. Place the fruits in a large bowl. Pour the hot tea over the fruits , if using loose leaf tea, you need to strain it as you pour. Make sure all the fruits are covered by adding more hot water. Leave the fruits overnight to plump up. Put the fruits and liquid (you might need to add some water) into a pan, add a small cinnamon stick, 3-4 cloves or 3-4 whole allspice seeds and simmer gently for about 15 minutes, stirring occasionally . Take care not to cook for too long – you do not want a “mush”! When I make any of these at other times of the year, I often serve them with soured cream or plain yoghurt or a mixture of the two. Piernik is a cake which has been known in Poland since the 12th century. 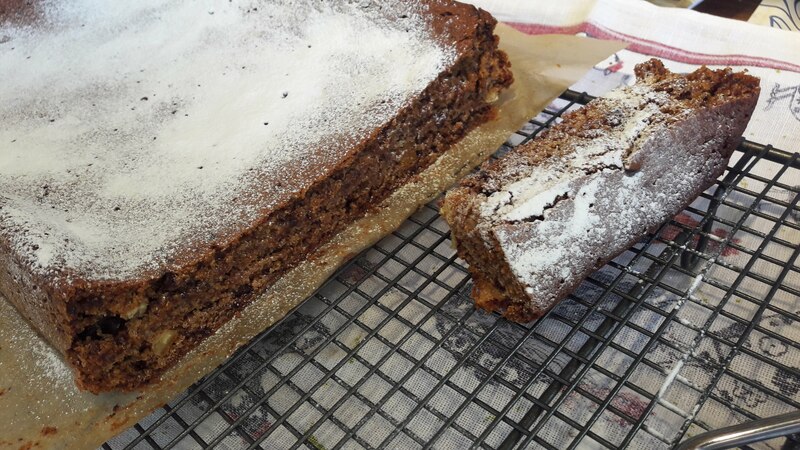 I have tried a recipe which did just use honey, rye flour and spices – I did not like the result at all, so will not be including that one! I also tried one which used wheat and potato flour which also did not turn out well. I then went on to make the recipe below which also uses wheat flour, egg yolks and icing sugar. I tried this out twice as the first time it did not rise very much, so I doubled the amount of bicarbonate of soda and was pleased with the result. Line the tin with aluminium foil, grease the foil and then coat with dried breadcrumbs. In a large bowl mix together the rye flour, plain flour and the spices. In a small saucepan heat the honey to boiling point & turn it off the heat & allow to cool slightly. Pour the hot honey over the flour and mix well. Beat the yolks with the icing sugar until they are pale and fluffy. Add this to the flour and honey mixture. Mix the bicarbonate of soda with the water and mix this in. Put the mixture into the prepared tin & smooth the top. Brush the top with cold water. Bake for around 40 minutes in the long tin & 1 hour in the loaf tin. Check earlier and cover with greaseproof paper to stop burning if necessary. This piernik is not very sweet and could be split in half and sandwiched back together with powidła – Polish plum spread (see notes in previous piernik post) and covered in a chocolate coating made from melted butter & dark chocolate. I just had it sliced and spread with powidła (Polish plum spread) or sour cherry or raspberry jam. Served on La prune by Jet for Ter Steege in The Netherlands. Pierna is an old Polish word for spices and piernik is a cake made with honey and spices. The very first recipes were just honey, flour (wheat or rye) and spices. Honey was the original sweetener, long before sugar, and when you travel in Poland you will find many village ladies selling their own honey, the taste varies greatly depending on where the bees have found their flowers and the honey from a forest region is very dark and full of flavour. Piernik can vary from being a soft dense cake to a drier but soft biscuit. Pierniki (plural) coated with chocolate are called Katarzynki – which means Katherine’s cakes – named after Katarzyna the daughter of one of the bakers. Piernik is often translated as Gingerbread but ginger is only rarely used! The main spices used are cinnamon , cloves and cardamom with the addition according to different recipes of: aniseed, black pepper, caraway, coriander, nutmeg, dried orange and/or lemon peel and then in later recipes allspice which is from the New World. Having looked at many recipes I have made my own basic 3 spice mixture – to which I can add other spices if I want a variation. I have mixed equal parts of ground cinnamon, cloves & cardamom & saved them in a jar. In Polish shops in England you can buy ready mixed spices for piernik. This little packet contains around 2 tablespoons. You can use the mixed spice mixture which is sold by Marks & Spencer which contains: dried orange peel, cassia (a variety of cinnamon), ginger, nutmeg, pimento (allspice) and caraway. I have been looking through my many recipe books and there are just dozens of different recipes & I have been trying some of these out. Many of the recipes have the addition of chopped nuts and/or mixed peel – I have not added these to my tests as I just wanted to try out the “basic” recipe. Some of the recipes were for large quantities & I have cut them down in size. Many do not give baking tin sizes or oven temperatures – so I have done a bit of trial and error with some of the ones I have done. In many of the recipes the dough or batter once mixed up is left for up to 3 weeks before baking. This indeed is a slow fermentation! Even if the piernik is mixed and baked on the same day, most of them benefit from being wrapped and left for several days before serving. The recipes in this post are ones you mix and bake on the same or the next day. 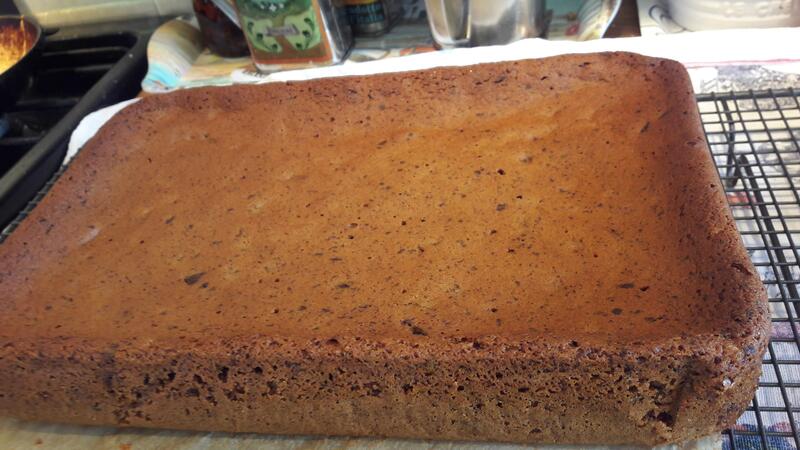 My mother made miodownik – honey spice cake (which could be classed as a piernik). 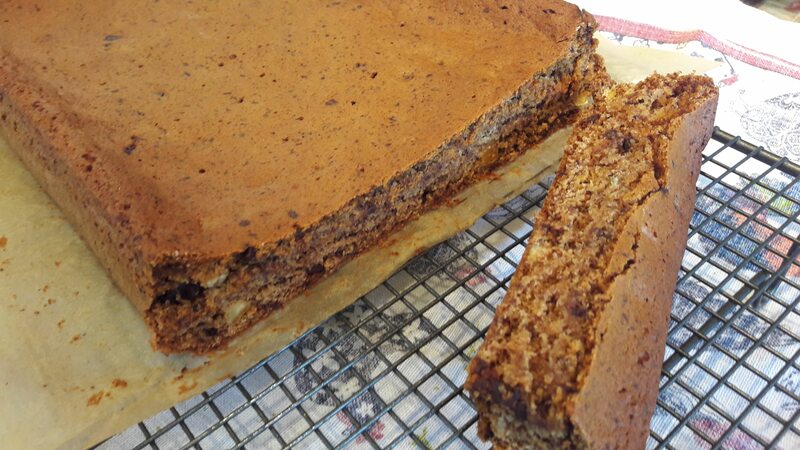 Hers is a more moist cake using vegetable oil, which is certainly a more modern ingredient. This first recipe is adapted from a recently bought little cookbook. 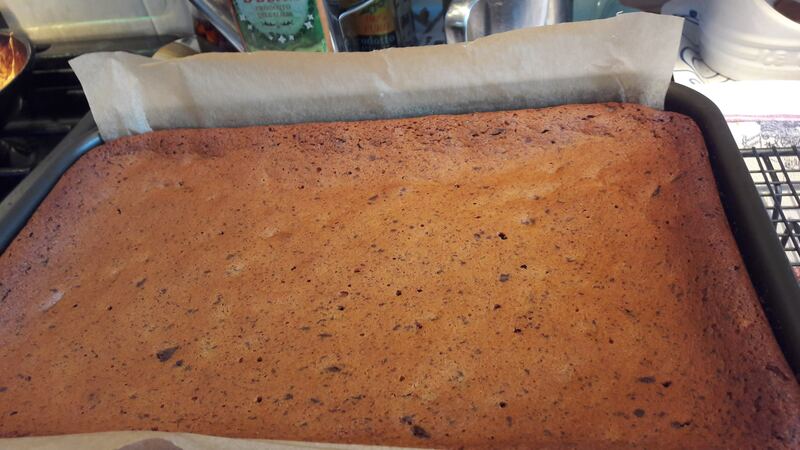 The honey used in the book was given as fir tree honey – this would be a dark honey and would make the cake very dark. The honey you use will make a difference to the colour and flavour of the cake. I have used a basic clear type honey. As only honey is used in this recipe, I think this one is nearer the old recipes. Pre-heat the oven to GM4 – 180°C. 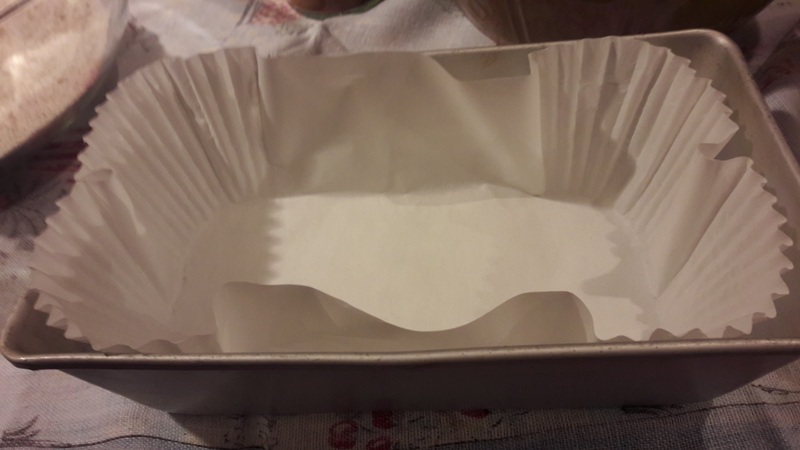 Grease and line a large loaf tin – mine is longer than the regular 2lb tin. Gently melt the butter in a small saucepan. Mix together the spices, bicarbonate of soda and salt & add these to the flour in a large bowl. Add the egg, the milk and the lemon rind and mix together. Add the honey and the milk and mix together till you have a uniform smooth consistency. Put the mixture into the tin and smooth the top. Bake for around 50 minutes – checking a little earlier & cover with greaseproof paper it it looks like burning on the top if you need more time. Wrap in foil to store. The piernik can be dusted with icing sugar, topped with icing or with chocolate icing – of course these are relatively modern additions to the medieval piernik! I made the piernik as above with the addition of 1/2 a teaspoon of freshly ground black pepper with the spices. 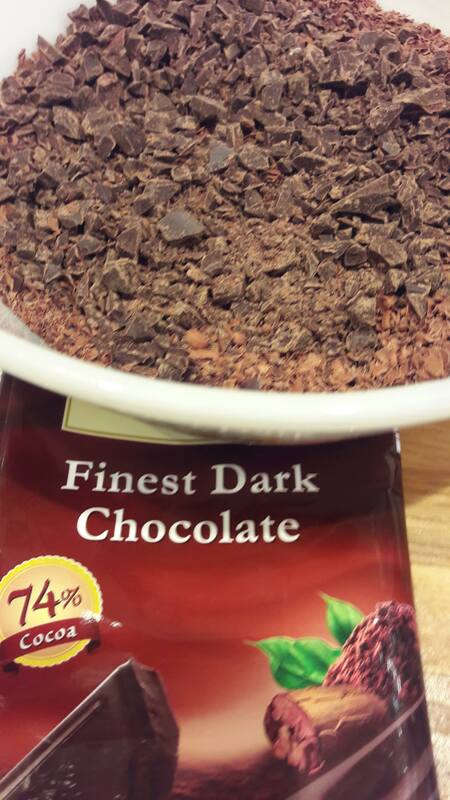 I did not think it added much to the flavour – I was expecting it to be a little peppery! Put the flour in a large bowl and rub in the butter. Add the sugar, bicarbonate of soda and the spices. Add the milk & mix to give a very thick batter. Cover the bowl with a cloth and leave it in a cool place for a couple of hours. Grease & line a 32cm by 22cm baking tin. Pre-heat the oven to GM 5 -190°C. Put the cake mixture into the tin and spread it out. Leave in the tin to cool. Wrap in foil and leave for a couple of days . Tea plate is Sonnet by Royal Doulton, 1971 to 1998. This piernik can be dusted with icing sugar, topped with icing or with chocolate icing. It can also be cut into 2 slabs which are then sandwiched together with powidła which is a lovely spread – often translated as jam but is not really a jam. Pierniczki are a small cake or biscuit version of piernik. For Święty Mikołaj – December 6th – St Nicholas Day I often buy packets of these glazed with clear or white icing or chocolate (You can get them in lots of shops nowadays including Lidl & Aldi) but sometimes I make them myself as they are very easy & delicious. In a bowl mix all the dry ingredients together. Beat the eggs lightly and mix these and the honey into the dry ingredients. Place tablespoons well apart on the greased sheets and bake for about 10 minutes. They do spread quite a bit. 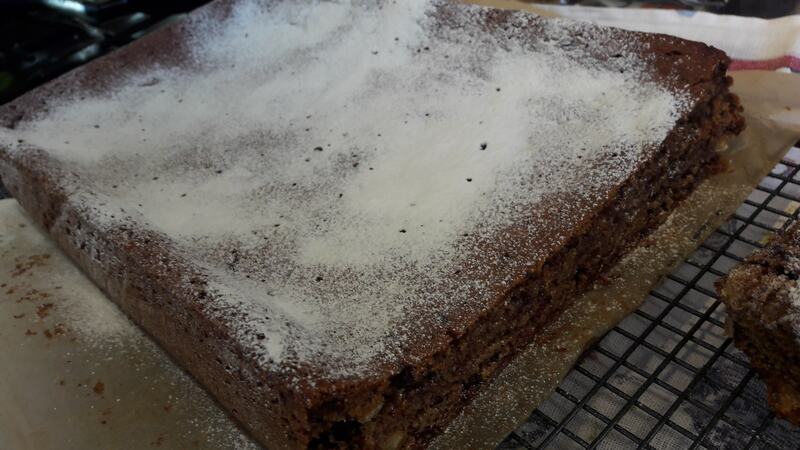 Leave to cool for a few minutes on the tray and then put the on a wire rack to cool and the dust with icing sugar. The dough for these is made the evening before. Heat the honey in a saucepan over a moderate heat and add the sugar and spices, stirring all the time for about 3 to 4 minutes so that the sugar is dissolved but do not let the honey boil. In a separate pan melt the butter and then set that aside to cool. In a large bowl add the baking powder to the flour. Pour in the honey mixture, melted butter and the egg and mix with a a wooden spoon to form a soft dough. Transfer to a small bowl and cover with a cloth and refrigerate overnight. The next day -take out for 15 minutes before using. You need a 6cm round cutter. Cut the dough into halves or thirds. Roll out the dough till it is thin and cut out circles. Place a largish teaspoon of the powidła or jam on the middle of the circle (going for height). The more jam the better but it can be hard to seal the circles – takes a bit of practice! Place another circle on top and press the edges together firmly. You can brush the tops with beaten egg white. Place on the baking sheet – leaving some space between circles. Bake for 15 minutes – checking earlier as they burn easily. Leave to cool slightly on the tin before placing them on a wire rack. Served on tea plates – Counterpoint by Royal Doulton 1973 – 1987. I think once you have tried the jam filled ones, these will be the only ones you want! However if you want a harder biscuit to decorate with icing then just place single circles on the baking trays and bake for 8 – 10 minutes – you really need to keep an eye on these as they burn very easily. These come out as a quite hard biscuit. These can be decorated with icing or chocolate icing. To understand a Polish Christmas one has to know about its historical and cultural background as these have shaped what we have today. Poles love festivals and traditions and there seem to me to be more celebrations in Poland than in England with every possible Saint’s day or other opportunity for a gathering, with eating and drinking, taken. In the first centuries AD, around the river Warta, between the river Odra (Oder) and the river Wisła (Vistula) was the cradle of Poland. (The Wisła runs from the Carpathian Mountains to the Baltic Sea.) This region was immense forest land but many areas along the rivers had been cleared. In the east of Poland there are still the remains of the primeval forest at Białowierza (White Tower), this is a National Park were bison and wild boar roam. By the 5th century the “Amber Road” was the trade route from the Baltic in the North to the Mediterranean in the South. In the 6th & 7th centuries, many different Slav tribes arrived there, and as by now more of the land had been cleared, they settled. By the mid 10th century the Polanie tribe became dominant – these were the people of the fields – pole means fields in Polish. Compared to England the summers are warmer and the winters much colder, a drier cold than in England, often up to -300 C, with lots of snow. The fertile plains of Poland have made it an agricultural country and the people are close to the land and understand about the seasons and food production. Even now in towns people have vegetable gardens & allotments. Main crops are wheat, rye, buckwheat, potatoes and cabbage. Dill is a favourite herb, also flat leaf parsley and caraway. Pork is the most popular meat. Butter, milk, soured milk, smetana (soured cream), twaróg (curd cheese) feature in many recipes. In the south in the Tatra Mountains they make smoked cheeses from sheep’s milk. In the 16th century southern Poland was 40C warmer than it is today and grapes for wine were grown. Mushrooms, fruits and berries are even today collected from forests, eaten, preserved or even sold at the roadside. Fish are caught in rivers and lakes, fish farms are becoming popular. Dried mushrooms provide a lot of flavour in the winter diet. In 966 Duke Mieszko the First, Poland’s first recorded leader converted to Christianity. By the 13th & 14th centuries Roman Catholicism was the main religion in Poland. In the late 14th century the marriage of the Polish Queen Jadwiga to the Duke of Lithuania was on the promise of his and his people’s conversion to Christianity and the formation of a new enlarged Poland. In the 16th century the Reformation did come to Poland and did have followers but it mostly died out following arguments between different factions & the Catholic counter reformation. After the middle of the 17th century the main religion was again Roman Catholicism and is still so today. Poland was more tolerant of different religions than many of its neighbours and by the early 20th century it had more Jewish people that any other country in Europe. St Andrew’s Day – 30 November is celebrated in Poland, and the eve on 29 November has many superstitions and traditions to do with foretelling the future especially with regards to future husbands. The nearest Sunday to 30 November is the start of Advent, this can be from 27 November to 3 December so there are always 4 Sundays before Christmas day. Advent is a time of reflection, prayer and preparation. In the past Advent was like Lent; a time of doing without. In Poland Christmas is celebrated from the evening of 24 December – Wigilia (the vigil) and parties and visiting relatives and family happens from then on. It seems very strange to the Poles to have all the Christmas parties before Christmas when is still Advent. Older pictures show Swięty Mikołaj (St Nicholas) in his bishop’s robes, newer ones tend to be more like the English Santa. Presents were to be found on the doorstep or hidden in the house or under the pillow. Pierniki – spiced honey cakes are given to children, often in the shape of the bishop. He returns again on Christmas Eve after the evening meal. It used to be that presents were given on just one of these days, usually 6 December and Christmas Eve was more about the meal and carols and Church. Nowadays you are likely to get presents on both days. Before the Second World War the presents were small tokens such as mandarin oranges (a luxury – as they were imported), chocolates, and an item of new clothes or a small toy. The old Polish Tradition was to hang from the ceiling just the tip of a spruce/fir tree (tip side down) decorated with apples and nuts which were either wrapped in silver or gold paper or painted and ribbons. Old Polish Village houses are made of wood – so it was easy to attach the tree tip. Doorways and walls were often decorated with separate boughs of the remainder of the tree. This custom originated in pre-Christian times and texts dating back to the 15th & 16th centuries referred to this use of the tree as a pagan rite. Unable to halt the growing trend, the church then reinterpreted the tree to be the Tree of Knowledge – the tree of good and evil. The tradition of using the whole tree came from Germany in the late 18th century and early 19th century first into the towns and then into richer villages and by the 1920s this had taken over. In small flats and in towns, and with small funds, people often still just decorate a branch of a fir tree. Nuts wrapped in Silver or Gold guarantee prosperity & vitality. When I was young we tied wrapped sweets & chocolates on the tree. The Tree is put up on Christmas Eve (though nowadays maybe a day or 2 before) the whole family helps. 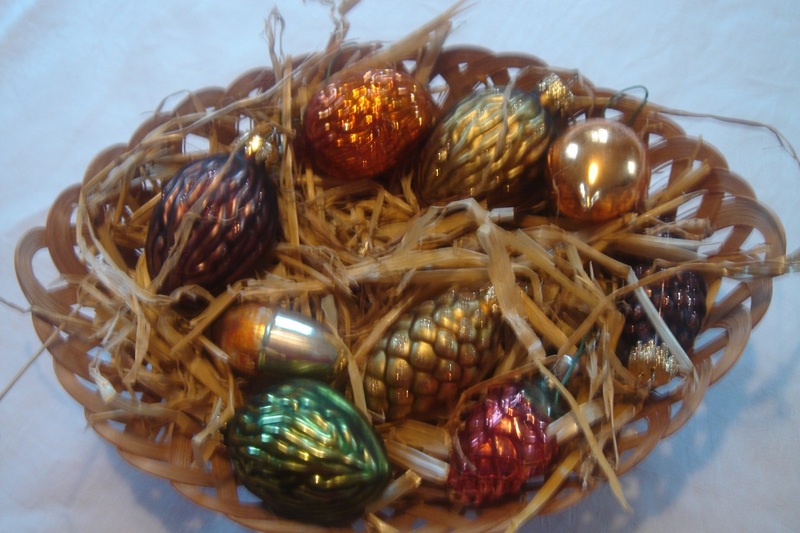 Decorated with glass baubles – in the past these were often blown eggs decorated with glitter. There are also many straw decorations – angels and stars. Many of the old ornaments look like the apples and nuts of before. Nowadays Polish Glass Factories make 2,500 glass baubles a day, some of them very elaborate and expensive. Paper chains guarantee love within the family. Candles and baubles guard the house from malevolent deeds. Angels are the guardians of the house. Clip on candles holders with real candles though nowadays artificial lights are more likely to be used. Photograph’s of my mother’s clip in candle holders. Pierniki – spiced honey cakes with white icing were used in some areas. Cribs are varied in Poland, mostly wooden and carved, often with the shepherds dressed in traditional Polish highland costume. Every year In Krakow in the Grand Square (Rynek Glówny) there is a competition held on the morning of the first Thursday of December, of Christmas cribs. Model makers come carrying their cribs and they are judged. The winners are kept in the Museum of Ethnography – the rest are sold. I saw an exhibition of past winners when they were on tour in England in 2011 at The Lowry in Salford. This competition began in 1937. It was intended to bring back to life a tradition which had died shortly after the First World War, that of the Crib Theatre and these cribs are portable theatres for traditional puppet Nativity plays. They can be from 15 cm high up to 2 metres high and some have clockwork mechanisms or lights. In the past the Christmas cribs were mostly the works of Krakow masons in their idle weeks of the Polish rainy late autumn. Nowadays it is a pastime of many Krakow dwellers of all walks of life. And the city boasts several dynasties of Christmas crib makers where two or three generations construct brand-new cribs every year. In the past these were always postcards but now folded cards are coming in to vogue. Copies of old cards from Zakopane from the 1930s – bought in the Folk Museum there. Cards are only sent to family and friends that will not been seen over Christmas. In Communist times cards depicted, branches of fir trees and baubles, nowadays many religious cards are sent. Often when Poles send cards to family abroad they include a piece opłatek. This was originally bread but now a paper thin wafer with an impression of the Nativity scene is used and is a symbol of forgiveness, unity and love. The opłatek usually has the corner nipped off to show that this is being shared. My aunty in America always does this. I wrote a whole post about this topic last year. This is a very Important Meal – Poles want to be with their family on this evening. This Christmas Eve supper became a fixed tradition in Poland in the 18th century. It is a completely unique experience with an ordinary evening meal transformed into a celebration of family love and solidarity and it is also so strange that in a country of meat lovers this meatless meal is so important and loved. The days before the meal were a time to thoroughly clean the house. There are usually 12 dishes for the 12 apostles though some areas have an odd number of dishes either 7, 9 or 11. I only make dishes which would have been available through food preservation in the winter or are seasonal. If there are presents they are placed under the tree and opened at the end of the meal. In the South West of Poland from an angel or baby Jesus. In Communist times to try and remove the religious idea – many tried to favour Gwiazdor often portrayed in red robes with gold star or even to introduce the Russian Grandfather Frost on January 1st – unsuccessfully. However Gwiazdor had links with St Nicholas (Swięty Mikołaj) as he often carries a star in front of St Nicholas. The oldest hymn/carol in the Polish Language is Bogurodzica (Mother of God) and is known from the beginning of the 13th Century. Many carols feature shepherds as the Poles from the countryside felt an empathy with them. Bóg się Rodzi – a Polonaise( Polonez )– words from the 18th Century. Przebieżeli do Betlejem – music from the 16th Century. Carols are sung from midnight mass till 2nd February in Church. In some areas Carollers went from Christmas Eve – after their own meal. They are welcome visitors however if your house is left out then this is seen as a sign of bad luck. Many would say that this meal is just like a very special Sunday Dinner. There could also be Bigos a stew made from sauerkraut, fresh cabbage, tomato purée and assorted sausages and meat. Tort – rich layer cake often made from hazel nuts. Nowadays there will also there will be chocolates & these Polish dried plums with chocolate continue the tradition of dried fruits at Christmas time – I love them! Classic white china would be the norm for Christmas but over the last couple of years I have started to use china with poppies* and other red flowers at Christmas time as well as china with autumn and winter foliage from my collection of china. *Although not a Christmas flower – these poppies are a remembrance to the Battle at Monte Cassino in May 1944 & the military song – Czerwone maki na Monte Cassino – Red poppies on Monte Cassino. As my father fought there, these are very special for me. 31 December is the feast of Saint Sylwester (Sylvester) and this is the name of the festival in Polish. In the towns & cities the evening is often celebrated with a dance – no special traditional dishes – more of the Christmas Day type food. Sleigh rides from house to house, with food at each, were popular in times gone by on the eve and on New Year’s Day. For the year and Kasper, Melchior and Baltazar – the traditional names of the kings. To bless all who enter or leave in the coming year. In the church – 2 February – Candlemas day – 40 days after Christmas – is the official end of Christmas and then karnawał starts – the festive time before Lent.